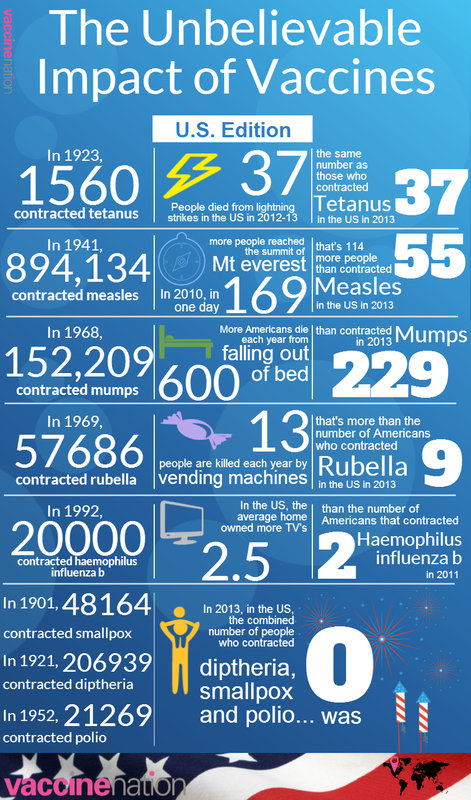 Ultimately, the important thing to remember is this: Vaccines save lives. Of course, as is true of all things, vaccines do harbor some risks, some we don’t even know about. They can cause rashes or other allergic reactions, but such instances are exceedingly rare (far rarer than the number of people that contract these illnesses without vaccines). For example, smallpox is one of the deadliest known diseases, plaguing humanity for thousands of years. Researchers believe that it first emerged in human populations around 10,000 BCE. Although the overall death toll is unknown, in the 20th century alone it killed over 300 million people. In 1967, the World Health Organization estimates that smallpox killed some 2 million people worldwide. And keep in mind, this is just one virus over the course of one year. Ultimately, the total number of people killed by viruses is simply staggering. Today, no one dies of smallpox. Not one person. It was eradicated by vaccinations. The last natural occurring case was in 1977. Let’s look at some surprising stats.